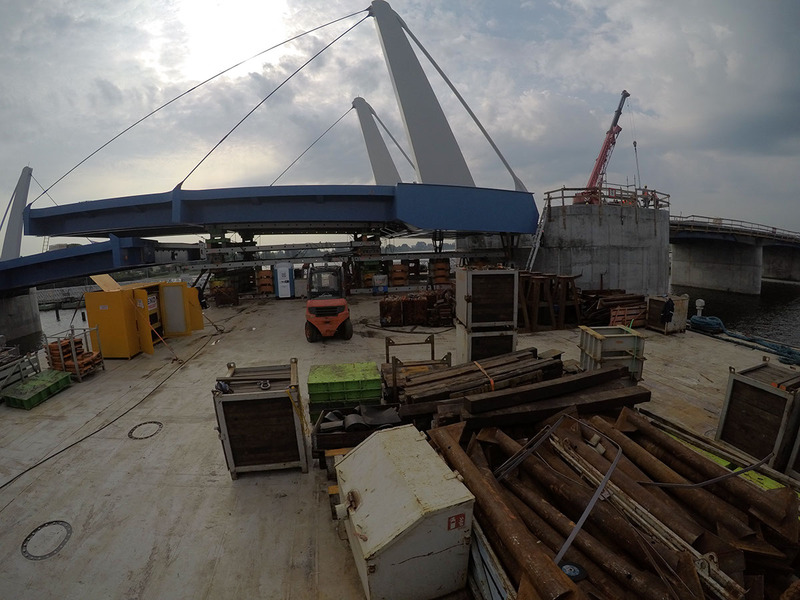 The whole project was very complex. 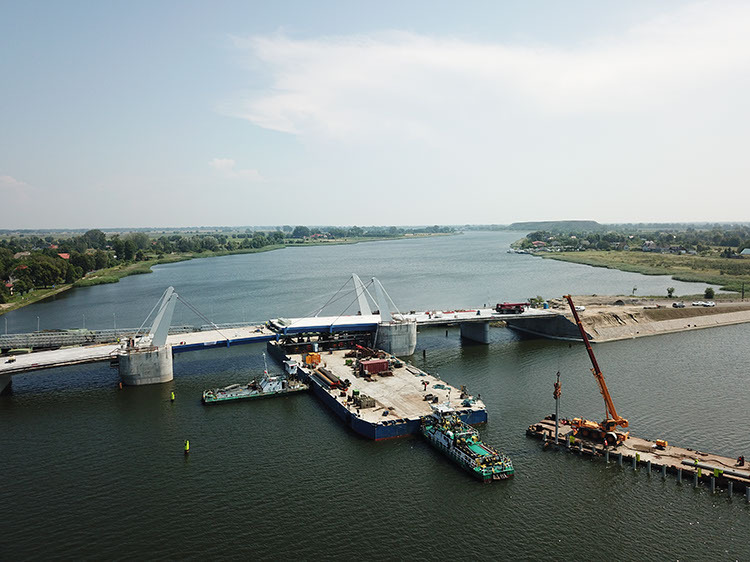 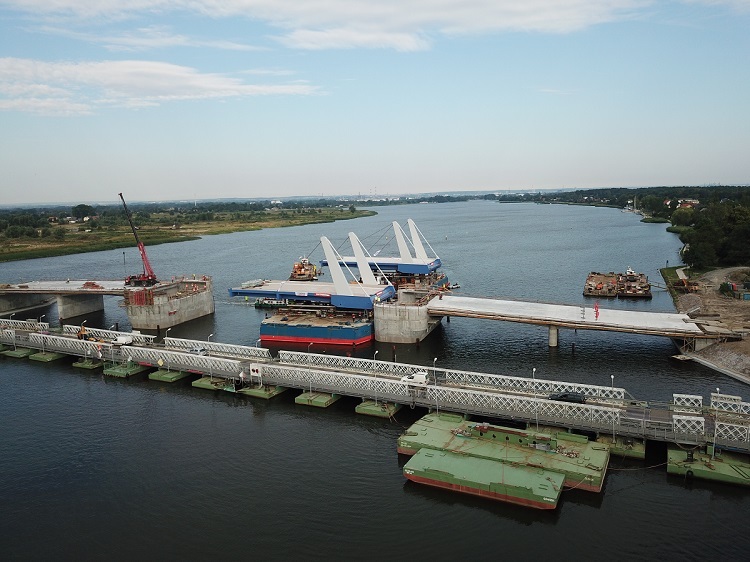 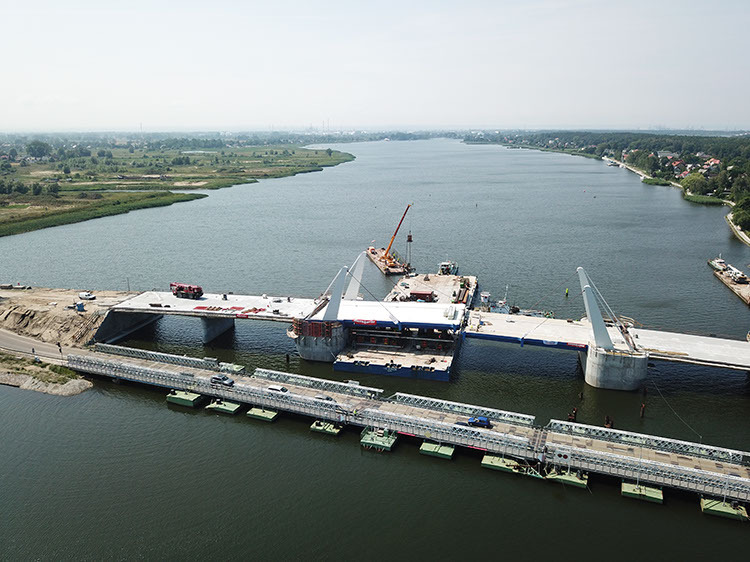 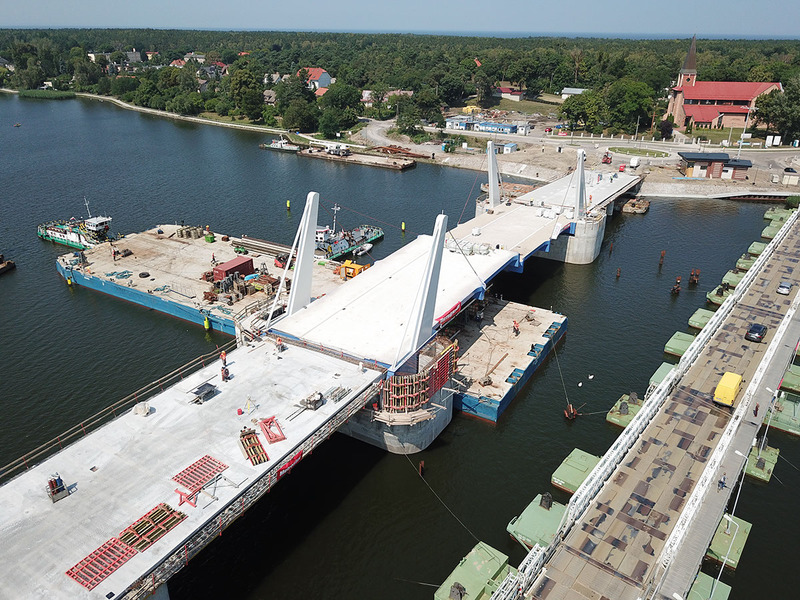 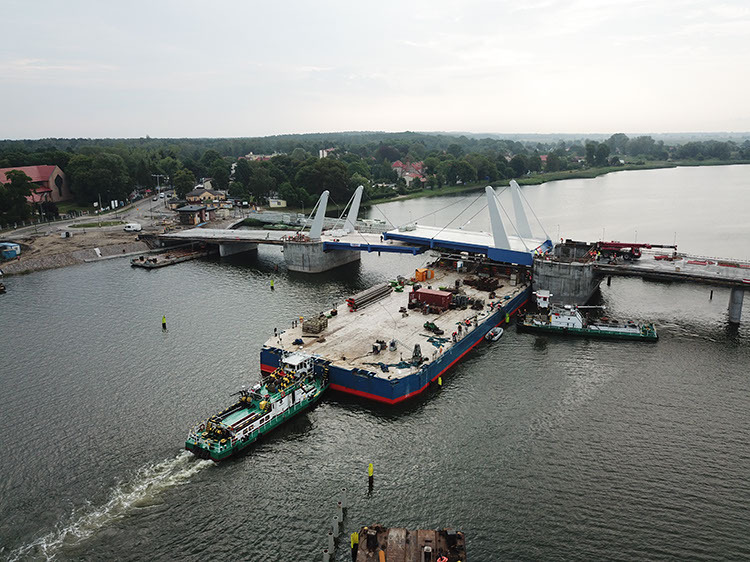 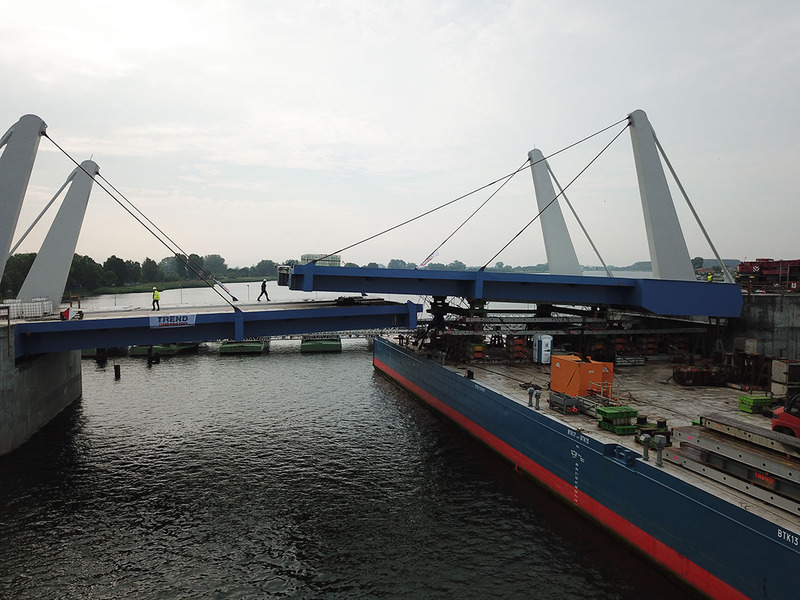 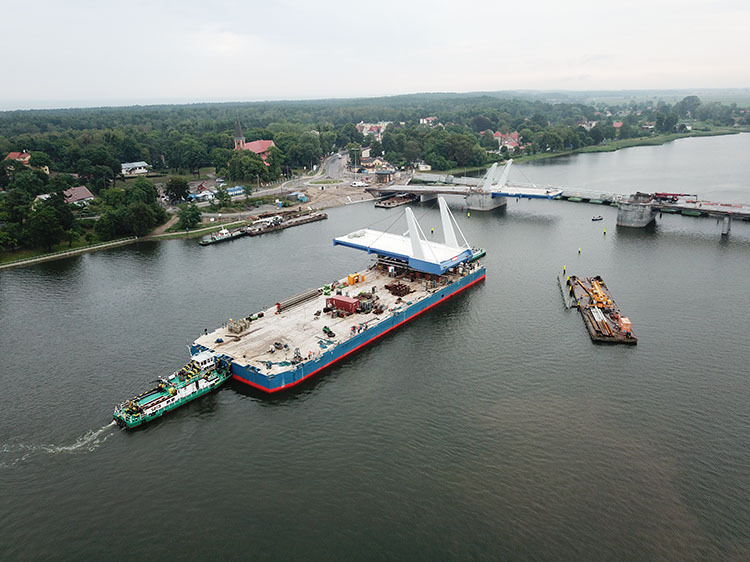 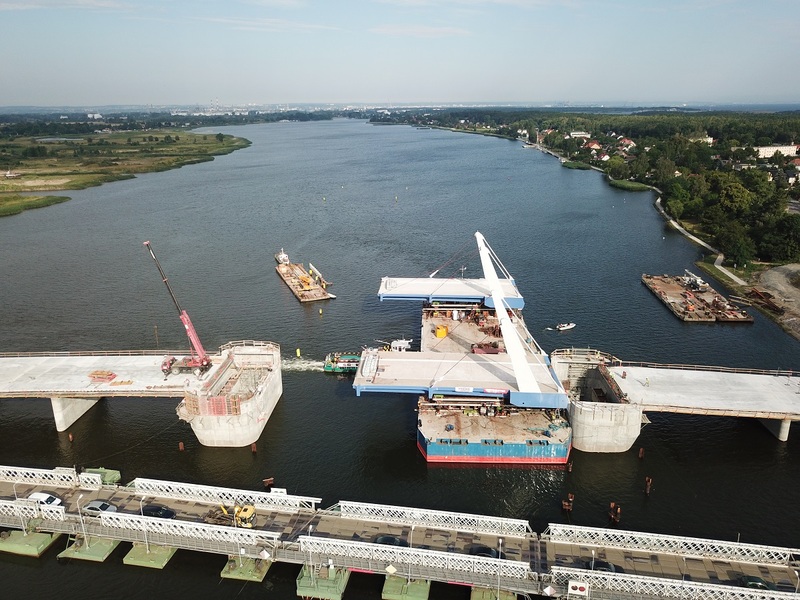 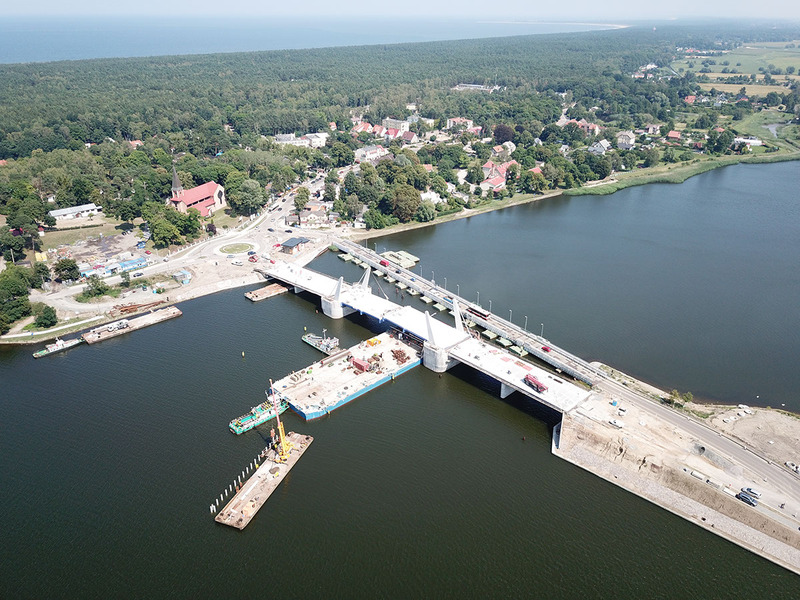 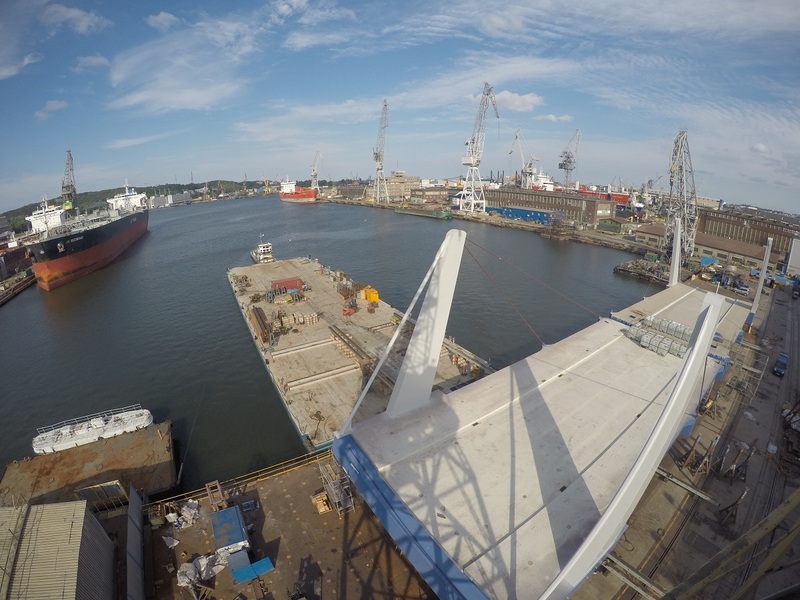 Steel spans of bridge were prefabricated in Gdynia. 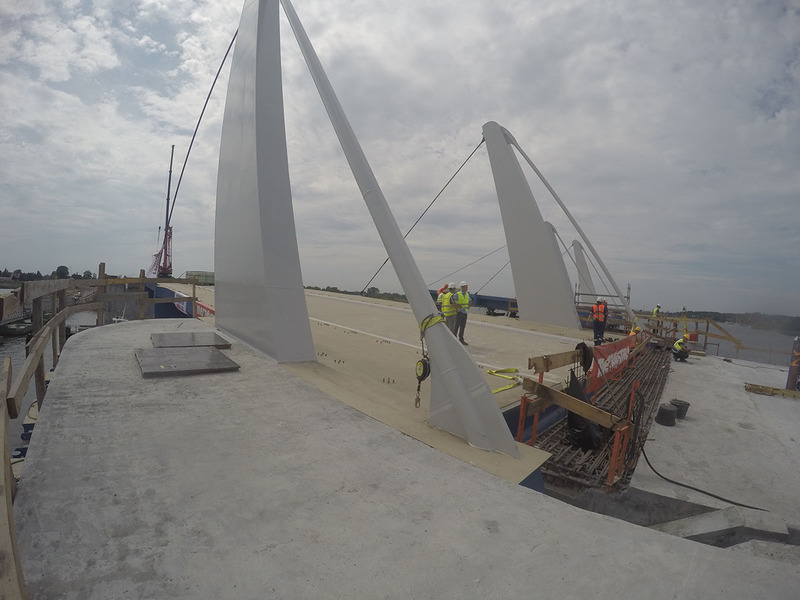 Trend needed about 2 weeks to install dedicated (very high) grillage frame underneath each of spans. 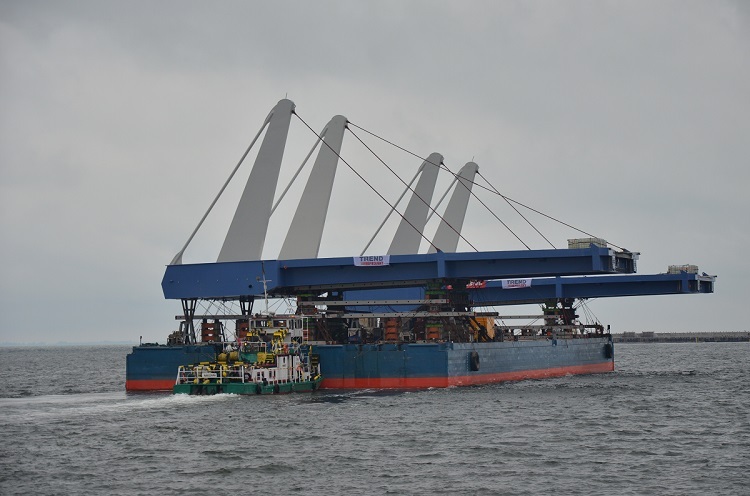 Due to the height of designed grillage frame, each of spans had to be jacked up by Trend climbing jacks. To safe time, grillage frames were assembled in front of each spans. 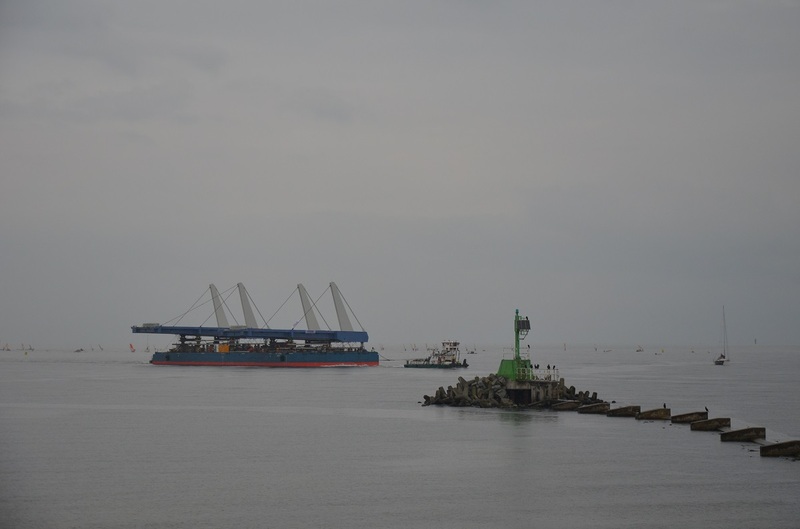 After jacking up of spans, whole grillage frames were skidded underneath each span. 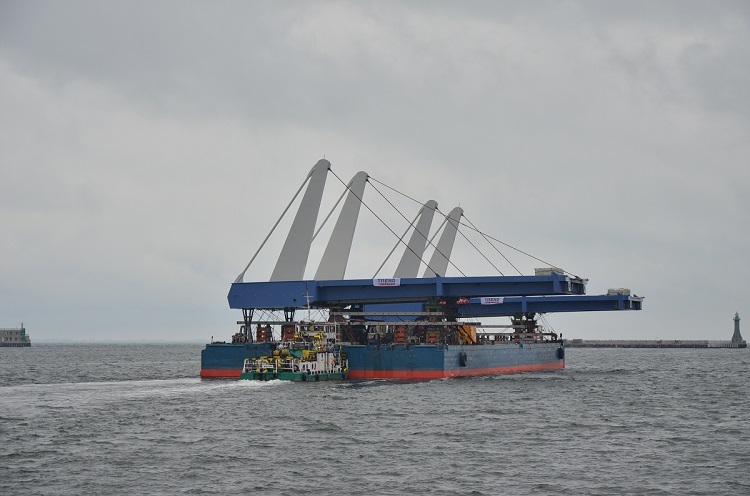 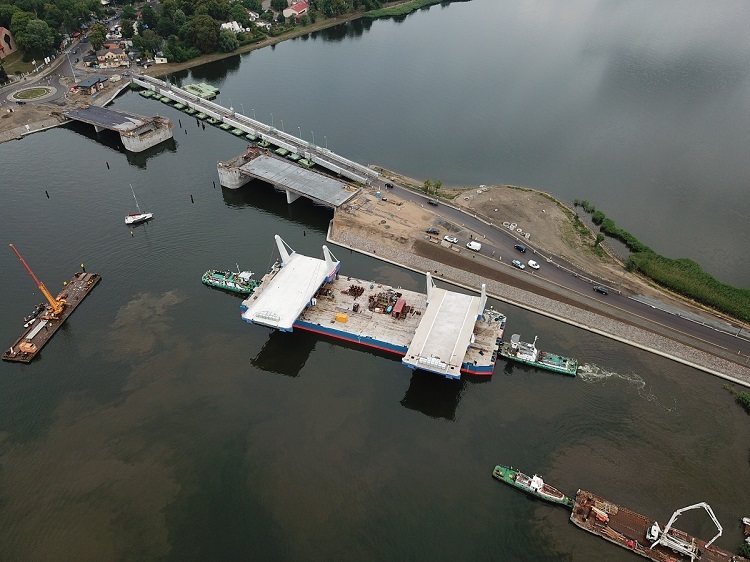 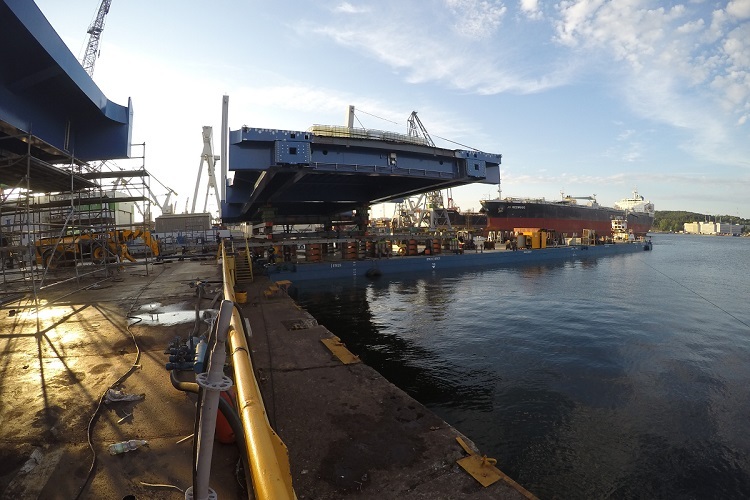 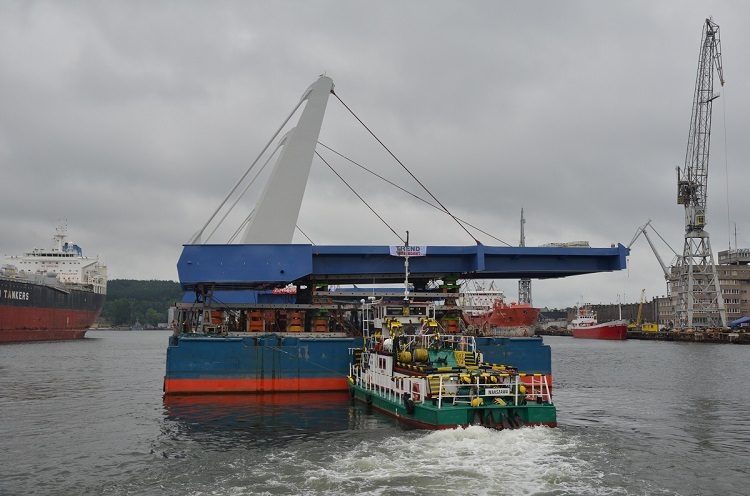 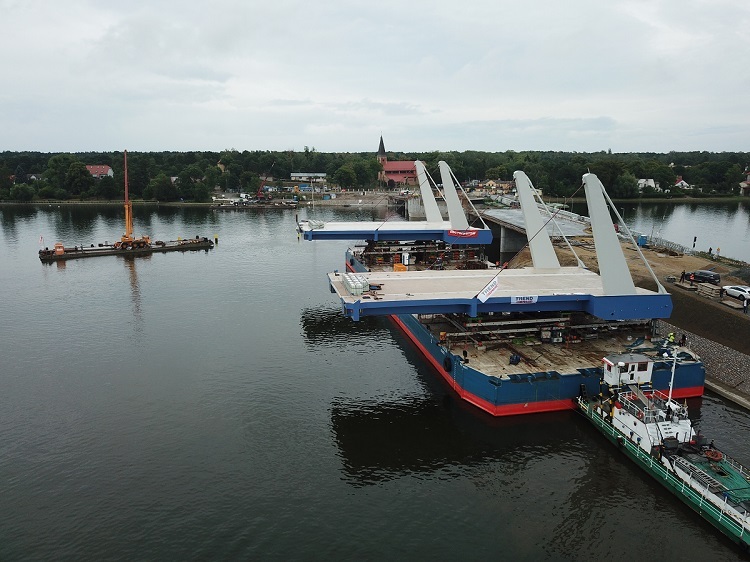 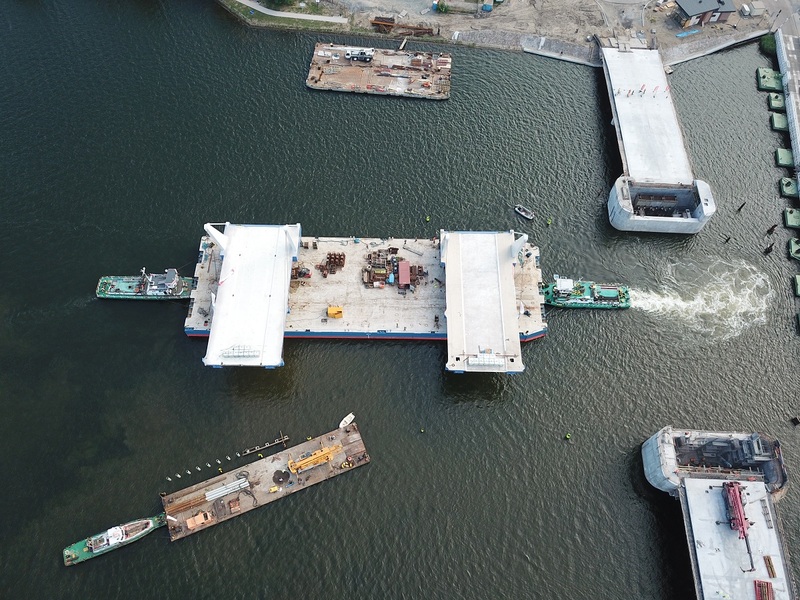 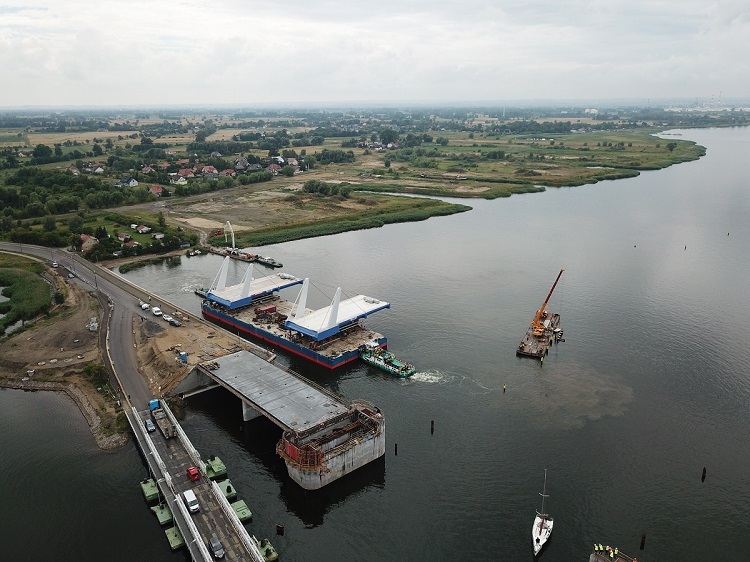 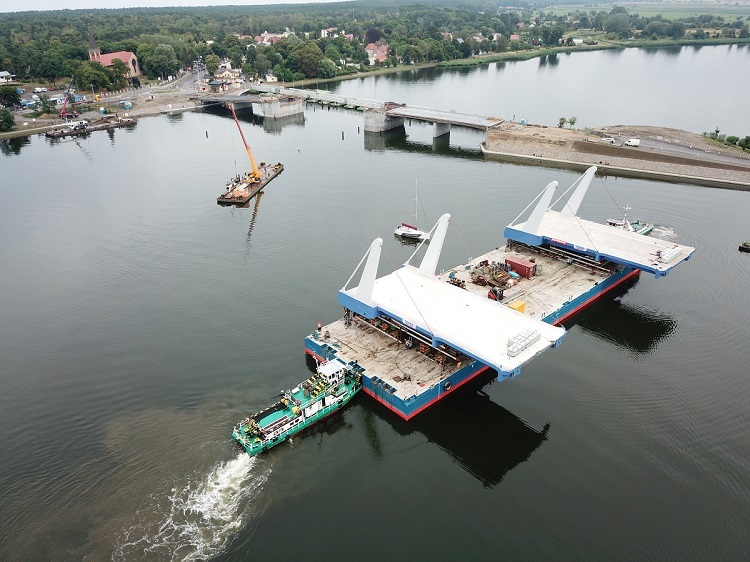 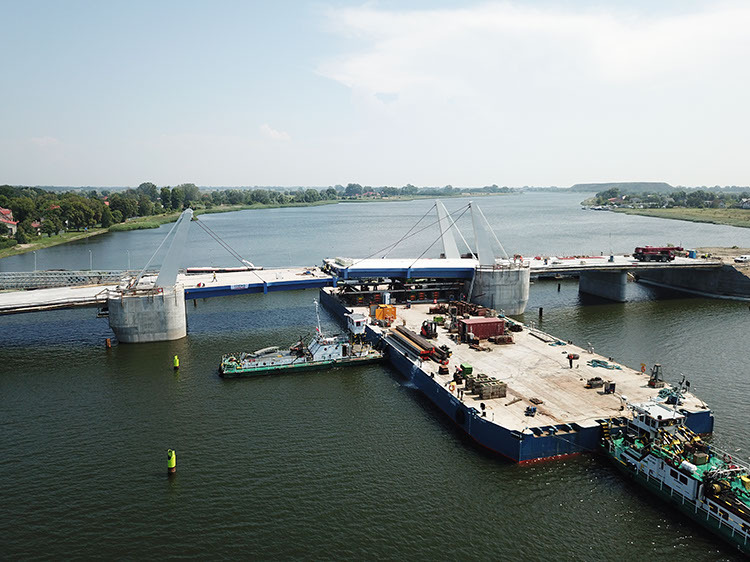 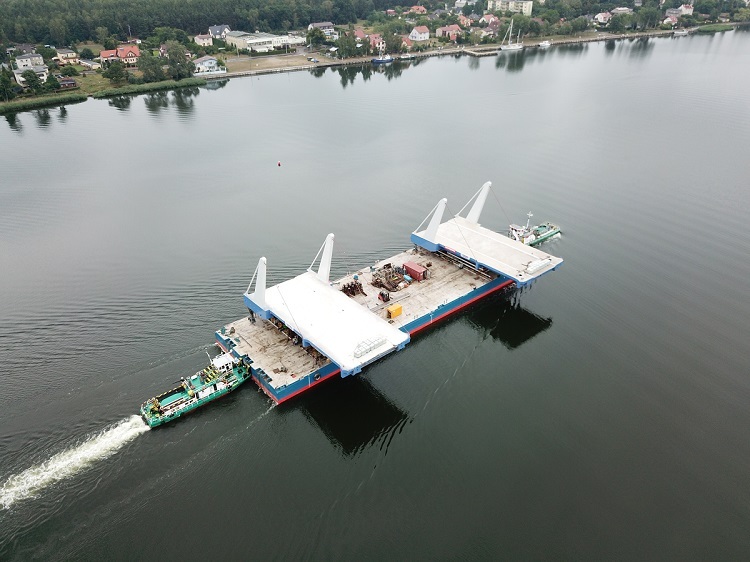 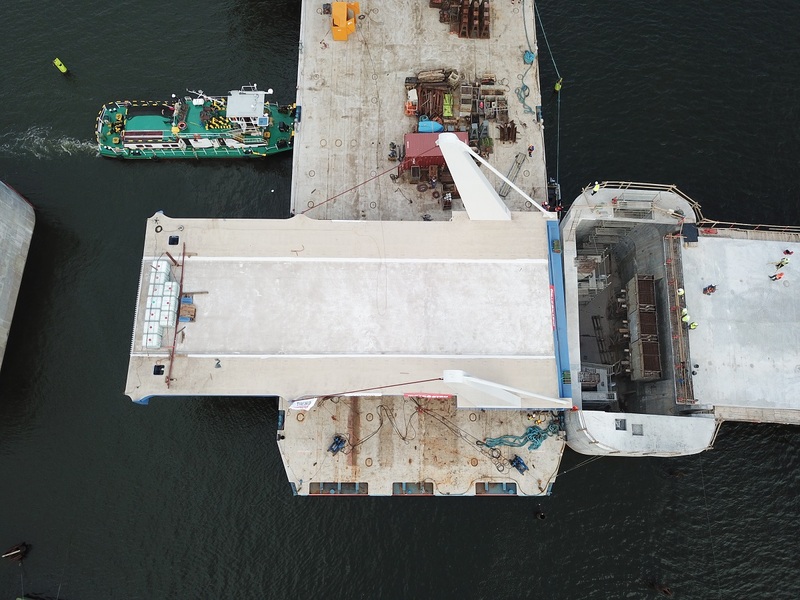 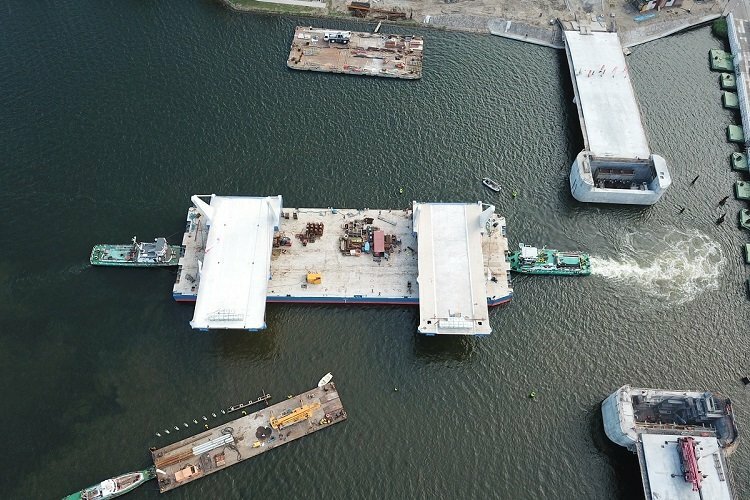 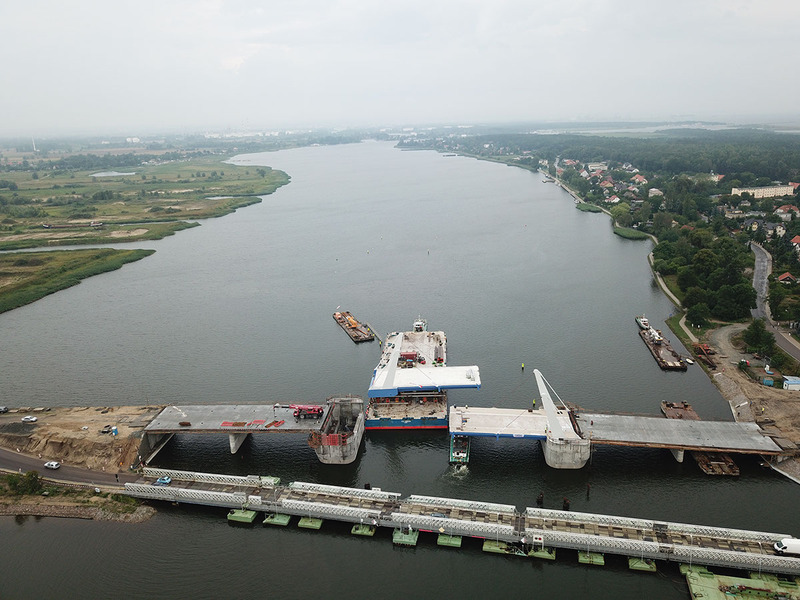 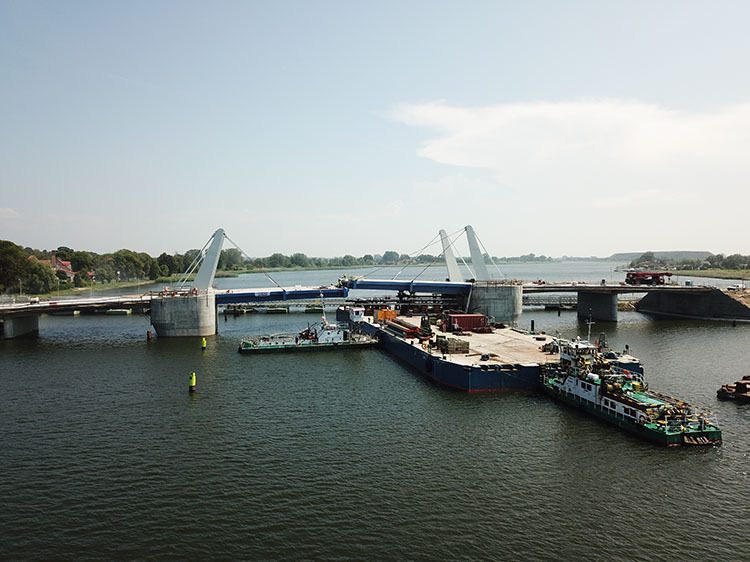 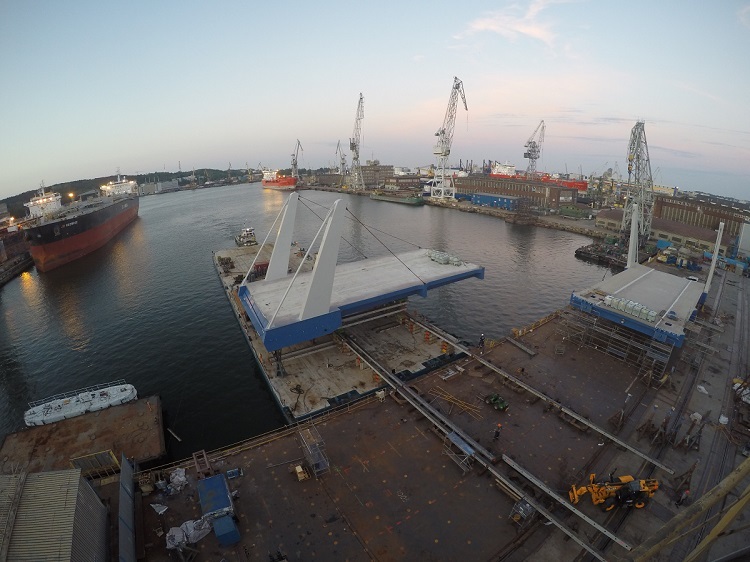 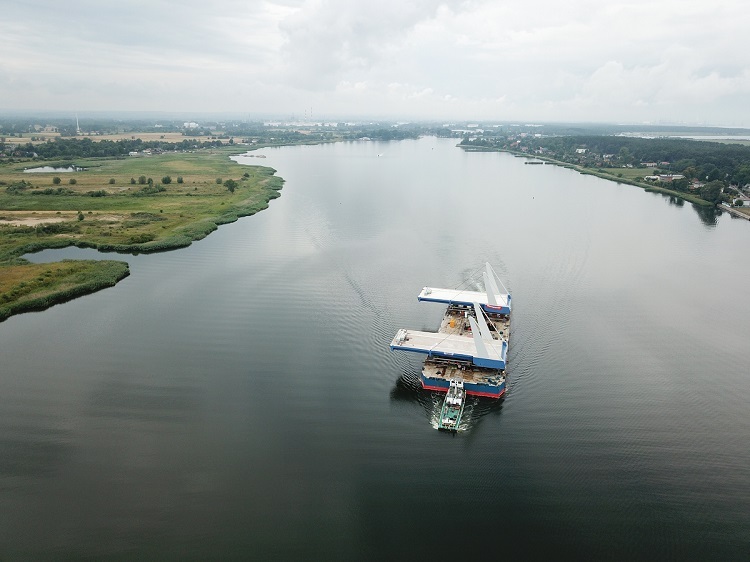 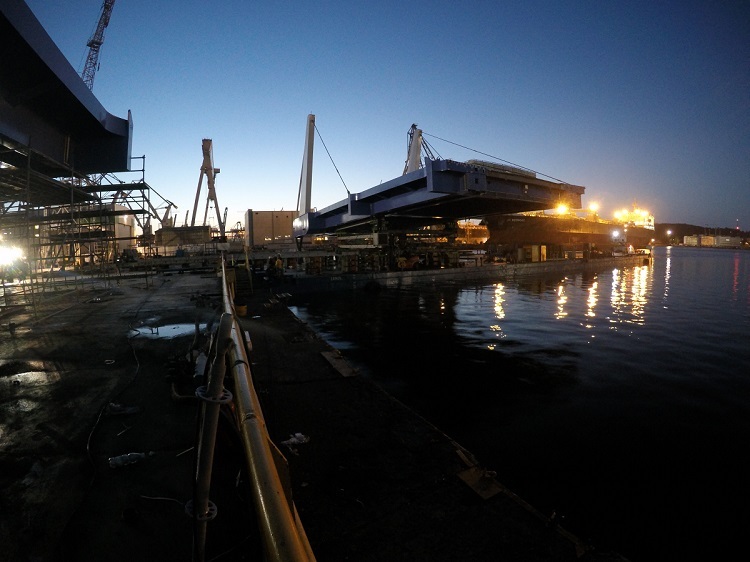 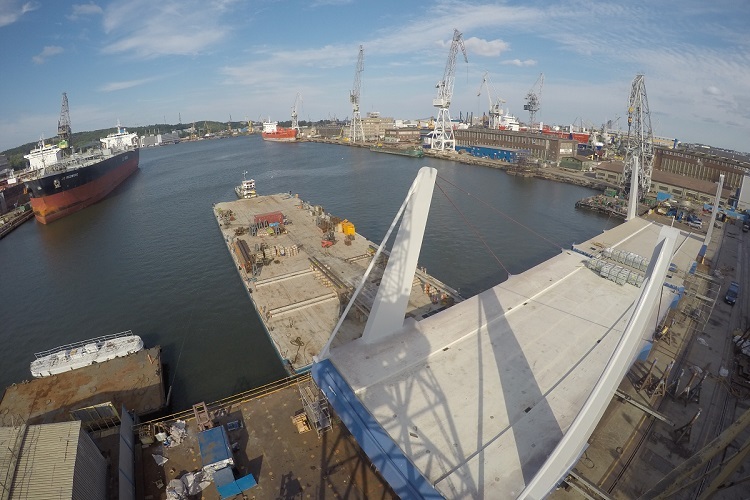 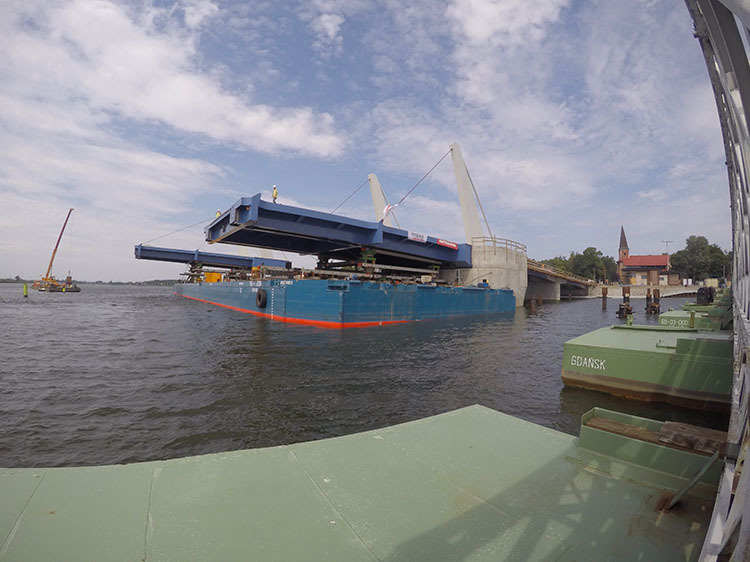 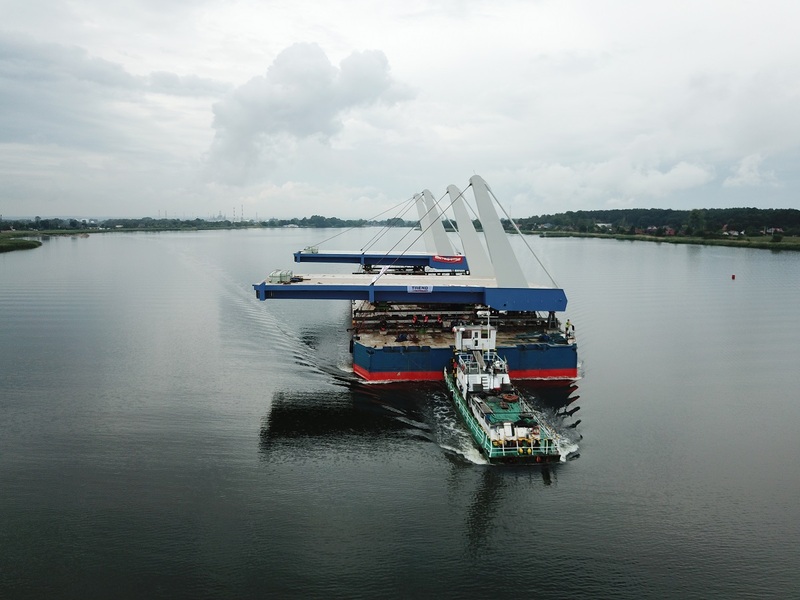 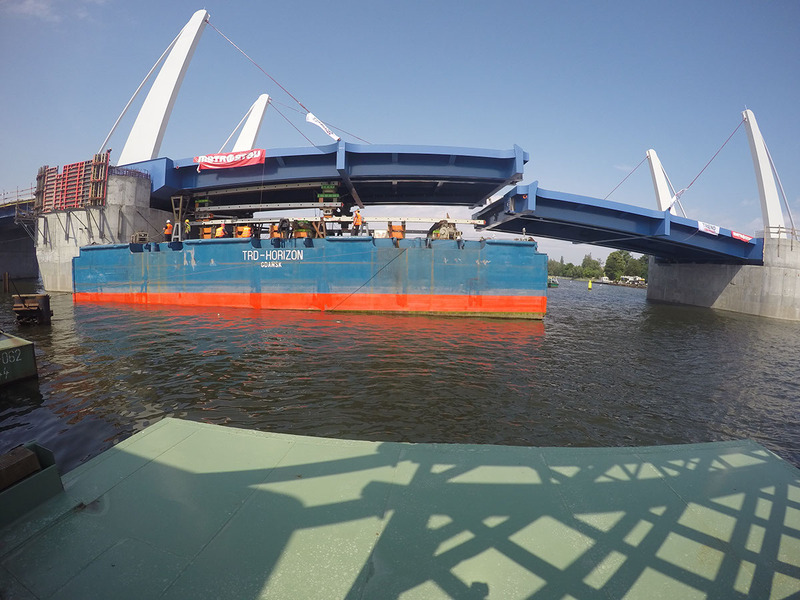 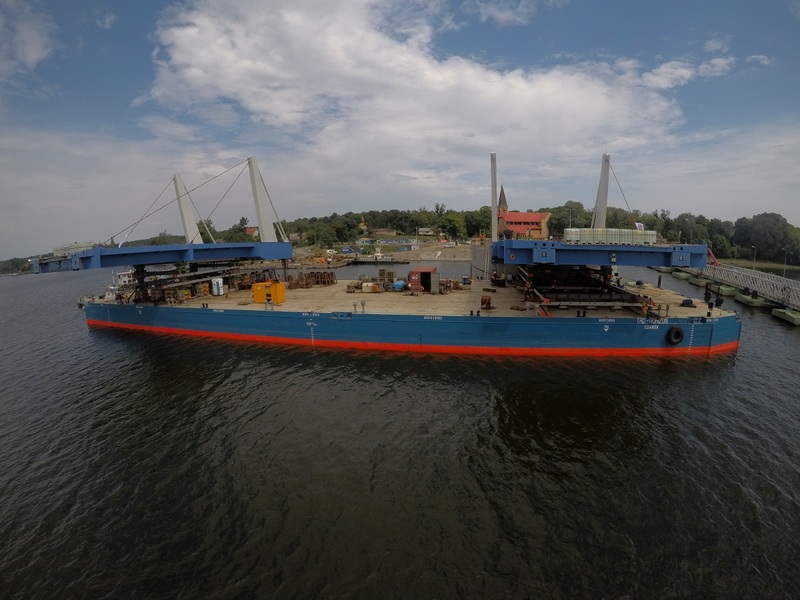 Next step was to load out construction onto barge TRD Horizon and transport from Gdynia to Sobieszewo. Trend needed only 3 days to complete installation on massive concrete foundations in Sobieszewo. Besides main installation, Trend was involved in assembly of 4pcs. 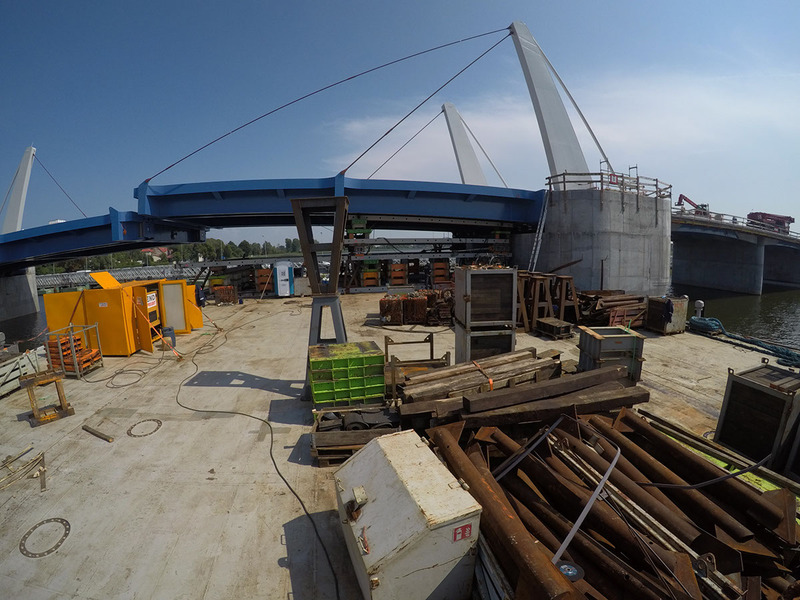 of main hydraulic jacks which will open and close the bridge. 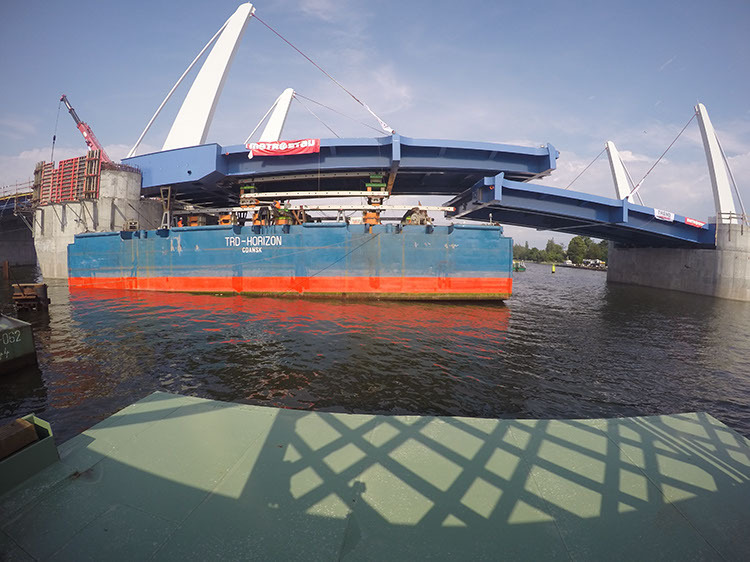 What is more, Trend installed all concrete blocks of bridge counterweight. 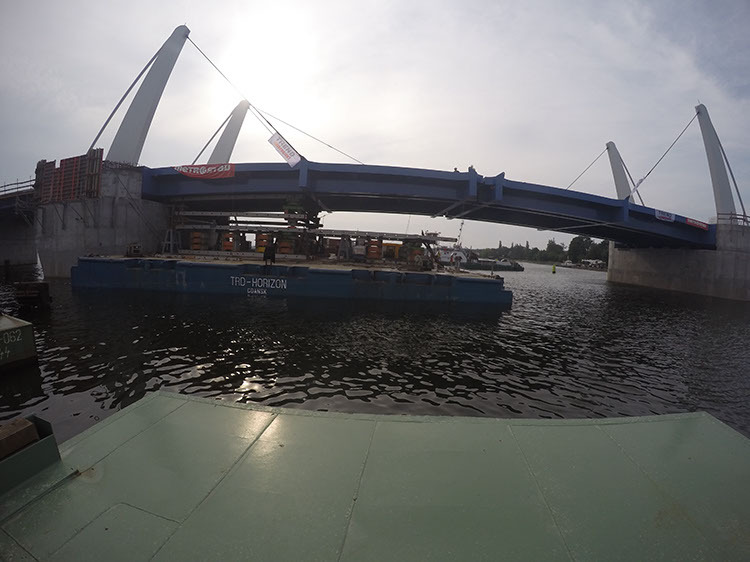 (6 pcs. 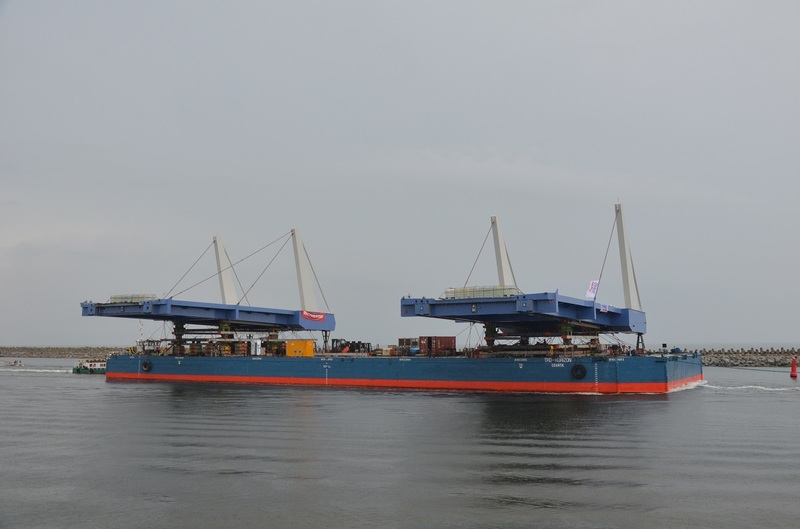 of 50T each).